Espionage is undoubtedly a highlight of each session. Using the creativity and hard work of our staff members, Espionage is always a little bit different. But what’s always the same is that this event takes place after dark. 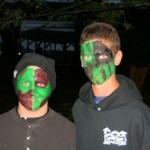 Campers learn to use their stealth skills to sneak throughout camp with the help of their cabinmates and counselor supervisor. The key to success isn’t running around, its being sneaky, smart and even using a little bit of chicanery. 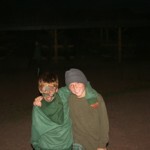 Typically each cabin group has a set of objectives that they need to accomplish. 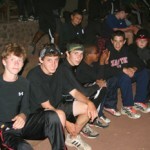 Usually this involves exploring different parts of camps, staying together as a group, and not getting caught. 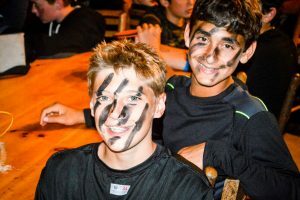 Campers almost put as much effort into finding the perfect costume and dark paint as they do into the game itself. 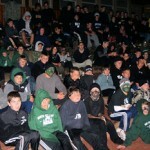 Campers wait in anticipation as the theme of Espionage is revealed, they get their instructions for the game, and then they spend the night sneaking around camp, under the stars.